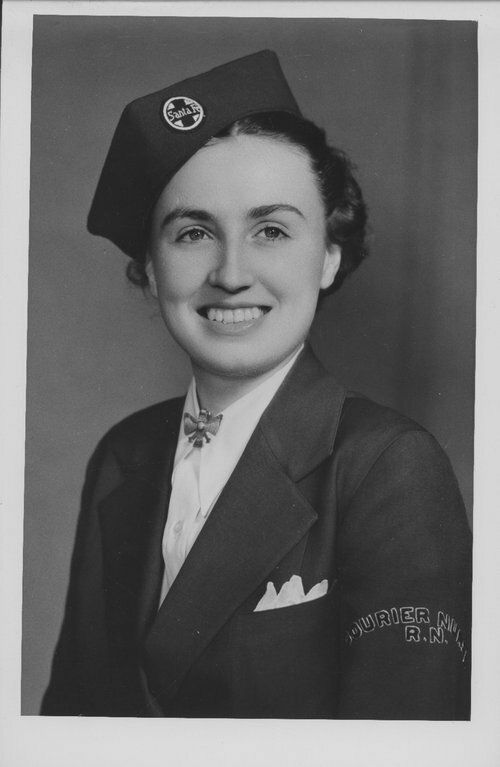 This black and white photograph shows Santa Fe courier nurse Vera Ragan. The Atchison, Topeka and Santa Fe Railway Company assigned registered nurses, known as couriers, to their passenger trains from the 1930s to the 1960s to attend to the medical needs of passengers. During their cross country travels the nurses, also, assisted with certain administrative duties and errands that required attention.